Berlin was a breath of fresh air. It was both old with lots of history and new with lots of quirk. 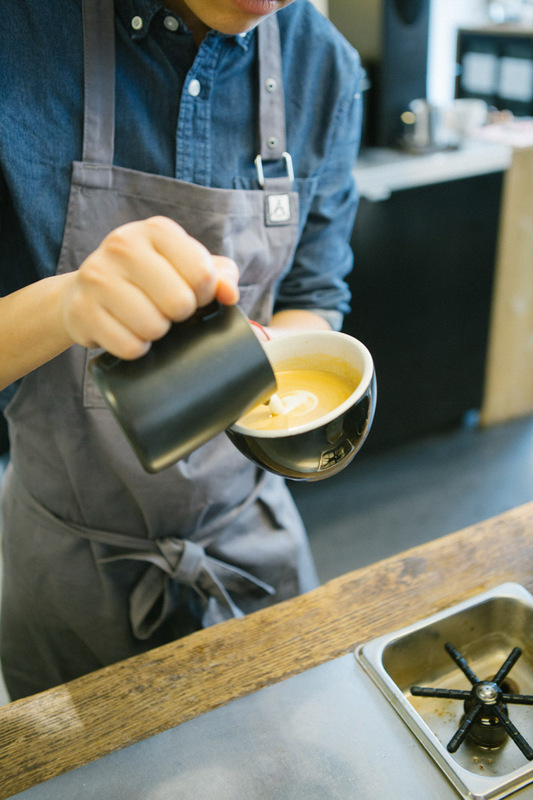 Coffee roasteries, concept stores and unique people with creative style. We spent four days there, each one become more and more like a local. The first thing we felt when walking into the cafe Roamers was cosy. A small space filled with big wooden tables and carefully collected pieces to decorate the space, not only the environment but the food was amazing. Big meals served with fresh ingredients, Roamers provides a perfect brunch experience. 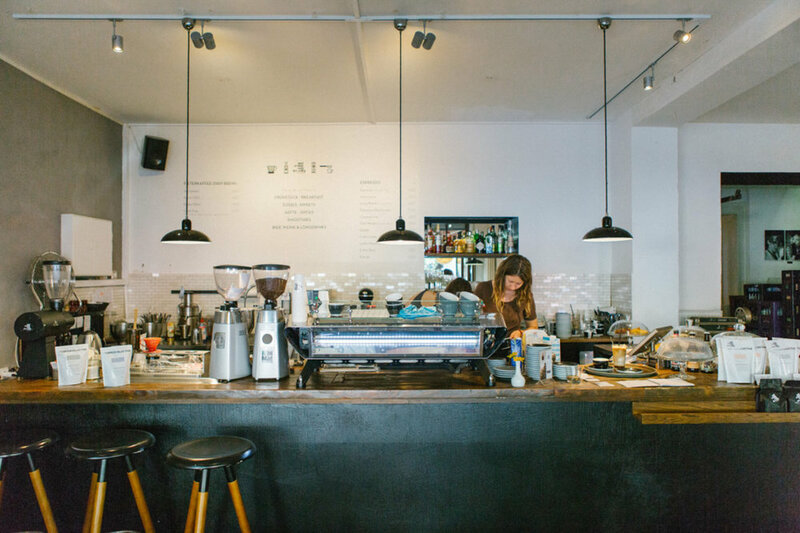 Run by Australians, Silo is a cool café with brick walls and open windows. They have roasted coffee and serve the most amazing food ever. We even bought a packet of Matyatzo Espresso to grind ourself. Silo is definitely on the top of the list if you’re visiting Berlin and the oven baked pancakes with berry compote is a must. The Barn may have been our favourite roastery in Berlin. Offering loads of different coffee blends, a huge space for sitting and enjoying your coffee and the best part: you can watch them roast the coffee while they’re doing it. We loved the coffee culture and the general feel to The Barn, and remember if you go, don’t bring your laptop. In terms of aesthetics, Bonanza wins in Berlin. 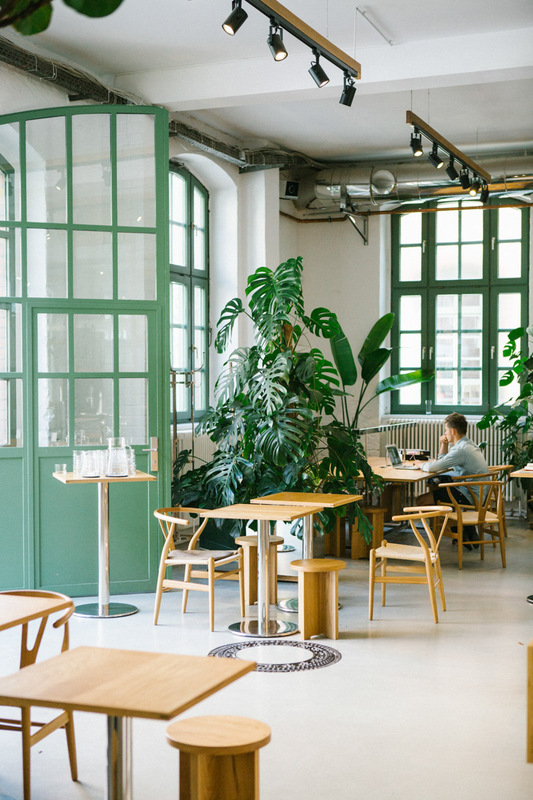 Tucked behind factories, you are welcomed into a large minimal space: cement floors, white walls and plants everywhere. Glass cabinets filled with yummy scrolls and of course, the big list of coffees. Made with good taste and good style, Bonanza will make you feel trendy as soon as you walk in. 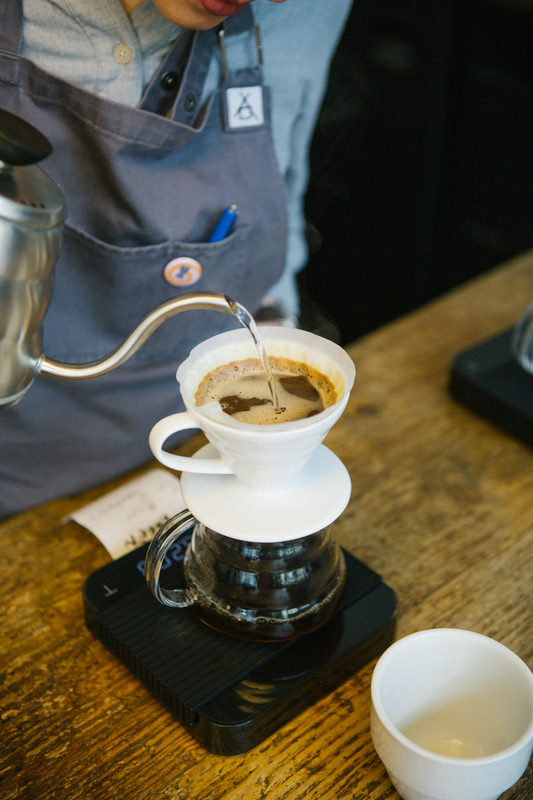 There are two Bonanza Coffee locations in Berlin and we visited both. Located in a beautiful brick courtyard, Father Carpenter is a huge café, serving good quality food and specialty coffee. They have two separate sections – one for take away and one to stay in. Both the aesthetics and the quality of this café are worth mentioning, and a nice little spot to get afternoon tea and a coffee. Commonground is also run by Silo. Located within a hotel lobby, they serve good quality coffee, delicious food, and cocktails for the evening. The space is big and has multiple areas to accommodate your taste and one not to miss is the outdoor garden. No fire no glory is an easy place to drink a coffee. Bring your laptop or a couple of friends, order some good food off the menu and you’re set. The space is styled with unique design and the choice to relax inside or out, and our favourite part of all: They sell beans by the coffee collective. If you have a sweet tooth, you’ll love this place. Pick your waffle, pick your topping and pick your gelato that goes on top. Waffel Oder Becher also serves coffee and other yummy drinks. They make sure the ingredients they use are natural and pure, and their main aim is to make you happy. Breakfast or dessert, it’s always the right time for waffles. Alongside a path with tall green trees, The Bread Station has a fitting name. A small but cute bakery selling the finest breads and some sweet treats, this place is a nice little afternoon activity and will make you smile. If you’re anything like us and crave eating healthy things while on holiday, you’ll be pleased to know that Daluma exists. Offering super yummy bowls with all organic ingredients and cold pressed juices to pair, this is the right place for lunch. Almost everybody loves Asian food and dumplings in particular, so if you need a fix this place is for you. The dumplings here are some of the best around Berlin, and Yumcha Heroes has a cool interior and friendly staff to match. Ting is a shop located in a street full of cute shops and cafes, one perfect for an afternoon stroll in Berlin. They sell lots of well collected items ranging from homewares to jewellery and the staff will give you a friendly welcome from the moment you step in. The Store is a concept store that contains a wide range of things such as clothing and accessories, a record store, a café, an Italian restaurant and a hotel. The Store focuses on creativity and brings together the best artists, designers and chefs all in one space. The interior design made us happy and the selected pieces even more. If you want to feel amongst the trend in Berlin, this is one place to visit. 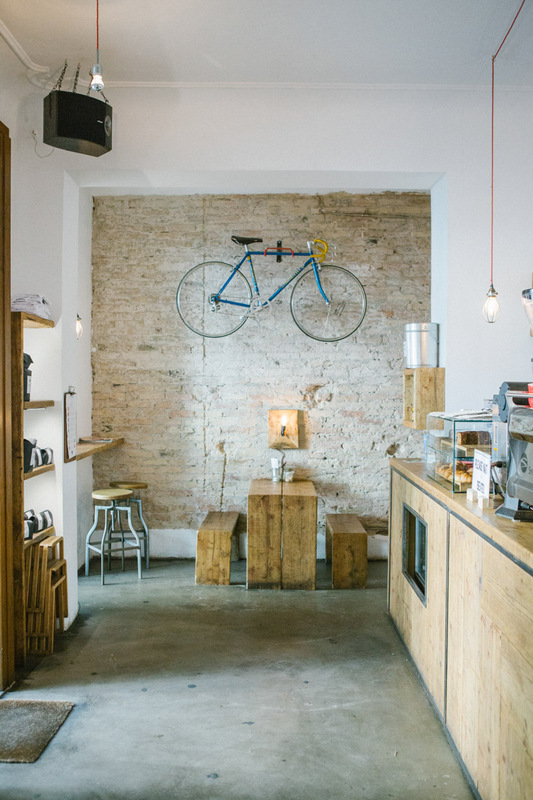 Hallesches Haus is a store cross café cross workshop space. Definitely our favourite store in Berlin, selling homewares, furniture, garden supplies and so much more, leaving us wanting to buy everything. They have selected carefully their products, and only good ones at that. If you need to buy a gift for a loved one, this is place to do it. Paper and Tea was a lovely experience from the moment we noticed the store on the street. Creating the perfect blends of tea for all times of the day and selling them in unique and colourful packaging. Berlin born and run, the store has a beautiful feel and of course an amazing smell, and it is the perfect place to have a quiet wonder. If you’re into eyewear, you’ll love this spot. With beautiful interiors, Lunettes Selection offers fine handmade eyewear. They have their own collection as well as others and the staff are super friendly. Lunettes can be found in two locations, each with different interiors but both outstanding. One of our favourite things about travelling is discovering new places on foot, and Parkhaus was one of them. Selling well picked homewares and other cute things, this shop is s a really nice experience. The staff were beautiful and we got excited when we noticed they sell brutti ma buoni, a traditional Italian sweet. Soul Objects is a shop filled with carefully picked items from all around the world, whether you’re into perfume, good quality gin or vintage furniture and art, this shop explores all of the above and so much more. Quality and rarity would be two words to describe this place and definitely one of Berlin's most unique spots. Markthall is true to its name. A big room filled with little stalls dedicated to food and good quality products. We even found Sironi bread from Milano. Markthall is a nice place to visit if you want to feel like a local, or do something a little different. We love it when we come across organic stores and this one was extra special to us. Not only did they sell product to eat and drink, but also things like recycled glass jars and paper bags. We think it’s important to be healthy and organic and we’re happy Berlin is too. This little store made our day. 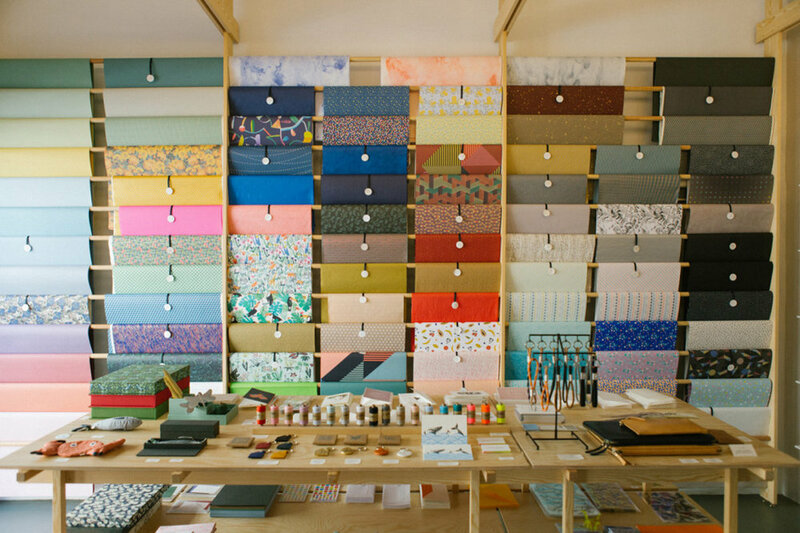 Full of colourful stationary and all things paper, it put a smile on our face and made us want to buy everything. We left inspired to write letters to our mothers. Studio 183 is a concept store involving clothing, jewellery and a mini café on the side. We love finding concept stores and think it’s an amazing idea to mix shopping and coffee, because why not? Supporting upcoming artists and designers is something we value and Studio 183 does just that. While in Berlin, we were lucky enough to stay in this beautifully designed apartment by Frank and Anne, which can be found on Air BnB or their website. Our stay was relaxing and it felt amazing to come home to beautiful surrounds and a comfortable bed. With its smart design, this place has everything you could need while away and is comfortable and spacious. There are two to choose from in Berlin, so you can stay wherever suits you better. Thank you Anne and Frank. Our favourite bar in Berlin. Tier is intimate, dim lit and quirky. We love mixology and if you do too, this place is one to visit. It feels like you’ve stepped into the luxurious 1920’s and you won’t want to leave. The staff are friendly and are happy to tell you the story of Tier. Beuster was the first place we visited in Berlin, and it left such a good impression on us, we went back for a second time. Offering a unique menu and an exciting environment, Beuster is the perfect place to get a drink or eat dinner. The staff are happy to accommodate to your needs but make sure you book in advance though, because this bar is in high demand. Walking downstairs, into a dim lit room with a long bar and stools ready to be sat upon. Offering cocktails and classic drinks, this bar is perfect for any start or end to an evening. Our dear friends at Our Food Stories kindly invited us to their amazing studio for afternoon tea. It had been years of knowing each other and never meeting, so we were delighted to finally meet beautiful Nora and Laura. Every conversation we had with them was inspiring and they made us feel at home straight away, offering us delicious fresh plums and watermelon. We are so thankful to have had such a lovely afternoon and cannot wait until we meet the girls again soon! Thank you Nora and Laura.